When I was little, one of my favourite things to bake was peanut butter cookies. My mom had this red Betty Crocker cookbook that I’ll always be able to picture in my mind. The pages had splatters of ingredients on them – especially the recipes I made most often. Even though I made the Betty Crocker peanut butter cookies from this book a million times, it’s not one I know off by heart. What I DO remember is that the centres were always perfect – soft, chewy, and completely addictive when eaten about 15 minutes after taking them out of the oven. 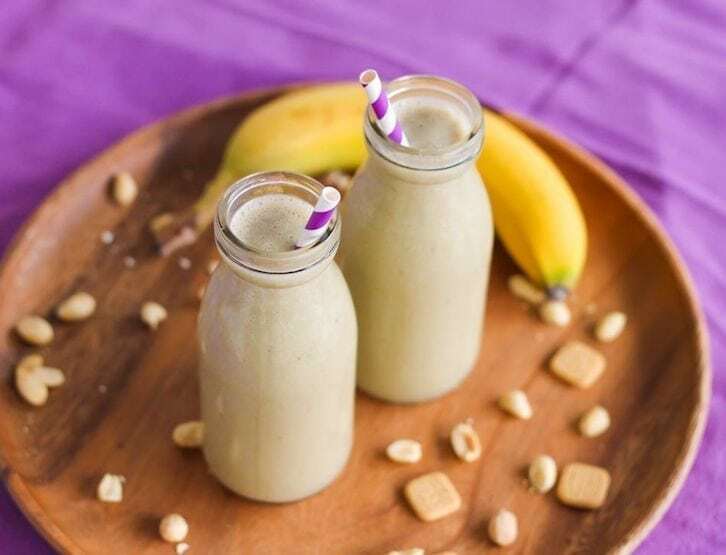 This Peanut Butter Cookie Smoothie isn’t a cookie (obviously!) but it’s got a beautiful creamy consistency with plenty of peanut buttery flavour. 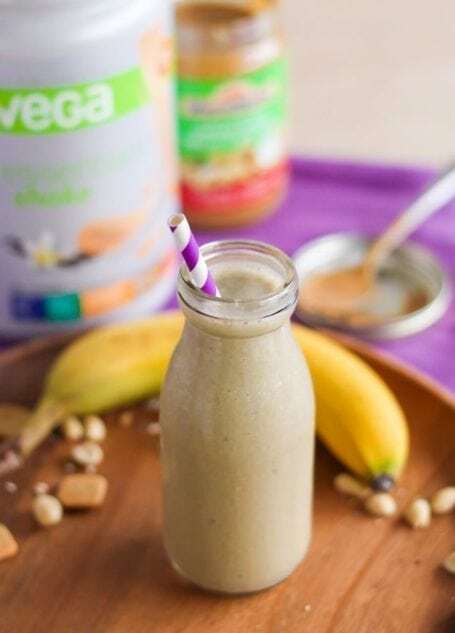 If you’ve got a craving for PB cookies or a more decadent-tasting smoothie, this one is a must make! 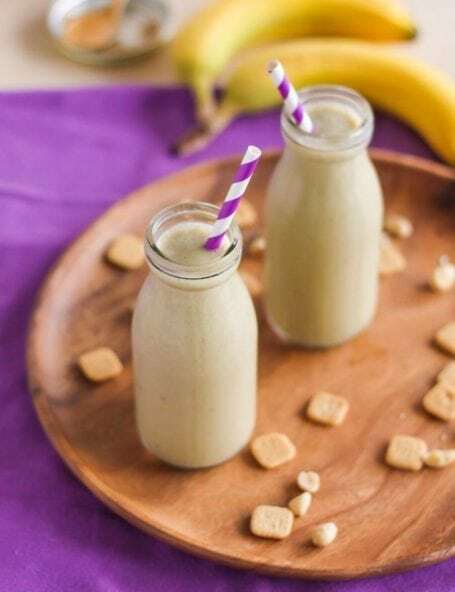 This Peanut Butter Cookie Smoothie tastes like dessert but has plenty of nutritional goodness packed inside! 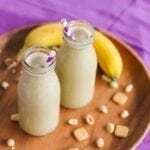 Add all ingredients except for the ice cubes to a high-powered blender and blend until smooth. Toss in the ice cubes and continue blending, again until smooth. Pour into a tall glass and garnish with chopped peanuts, crumbled peanut butter cookie, or cinnamon if desired. If you prefer to use almonds, that’s a-ok too! Simply swap the peanut butter for almond butter in the same quantity.